Windows 7 SP1 users can use the PowerShell cmdlet by first downloading PowerShell v3.0 from http://www.microsoft.com/powershell, which requires Microsoft .NET Framework 4.0 or higher, downloadable from http://www.microsoft.com/net. Cool, thanks! Even outside pentesting, this will be useful in plain old troubleshooting. Often there are servers where I don't want to install winpcap/windump, and don't have easy access to a span port. This will be useful. powershell -command "import-module PEF; $s = New-PefTraceSession -Path '%~n1.cap' -SaveOnStop; $s | Add-PefMessageProvider -Provider '%~1' ; $s | Start-PefTraceSession"
I tested a Win8.1 machine, and it didn't have access to the New-Pef... commands. I'm assuming you have to install the MS message analyzer to get access to the powershell cmdlets? Thanks for the tip, really usefull. I noticed in Win7 that after start/stop the applications lost open tcp sessions. Will check when that happens. The following command was not found: trace. I had seen this before, but never hurts to get the word out. Definitely nice for quick and dirty. Would be great if they added support for LoopBack (Localhost, 127.0.0.1) traffic but I could not find any way to do that. 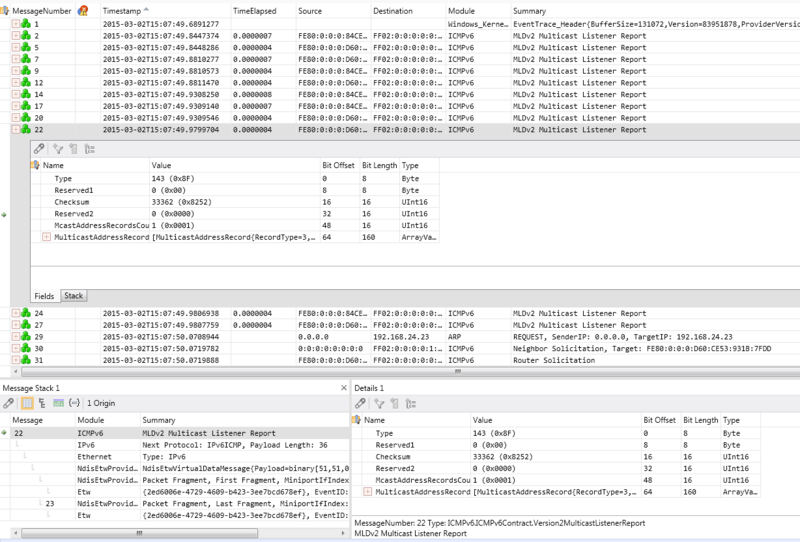 Microsoft Message Analyzer supposedly has "scenarios" which seem to enable capture loopback traffic. NetSh Trace also alludes to "Scenarios" , but I am not sure that the scenarios between netsh trace and Message analyzer would be compatible (and if you had to install Message Analyzer to get the scenarios, not much of a time savings. Hopefully MS will add a scenario that allows for Loopback capture at some point. This is DEFINTELY handier than having to go through an install to debug normal Ethernet traffic on a server. Yes. I wondered the same thing and can confirm that the commandlets become available after the install of Microsoft's Message Analyzer. - With "net trace" is possible to use persistent mode, to continue capturing even restarts.